Hope you all are having a great weekend.. I was staring at my stash of cream eyeshadows / bases and though of sharing my views on the different ones I have.. It’ll be kind of a series on cream eyeshadows.. 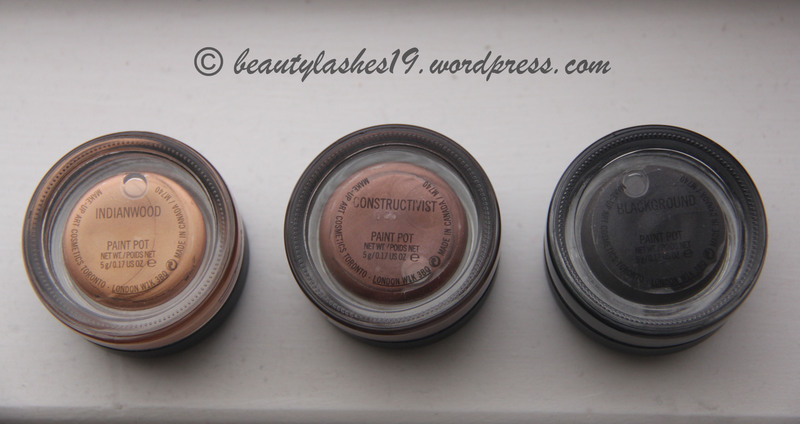 So, the first one is Paint Pots by MAC.. 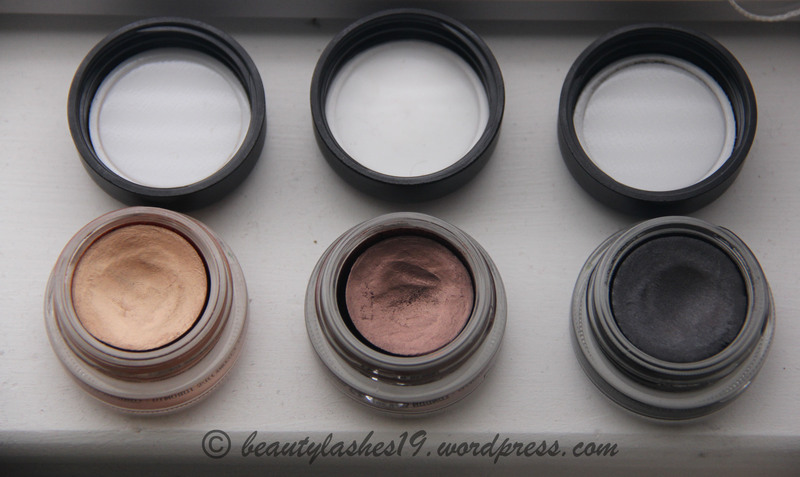 These are basically MAC’s version of cream eyeshadows.. They are available in 16 shades as of now on their website and new ones are often released as limited edition and as part of different collections.. I have three of these from their permanent line and they are at least a couple of years old.. These retail for $20.00 USD each for 5g of product and come packaged in a heavy glass jar with a black plastic lid.. I personally do not like the packaging for travel and avoid carrying it..
L to R : Indianwood, Constructivist and Blackground. Indianwood is a gorgeous true gold color and looks gorgeous across many skin tones.. One can wear this alone for a simple, one shadow look… It works particularly great for Indian weddings along with the shade I’ll describe next..
Constructivist is a purplish-brown bronzey color that looks lovely paired with Indianwood on the lid and constructivist in the crease..
Blackground is a greyish black eyeshadow base.. 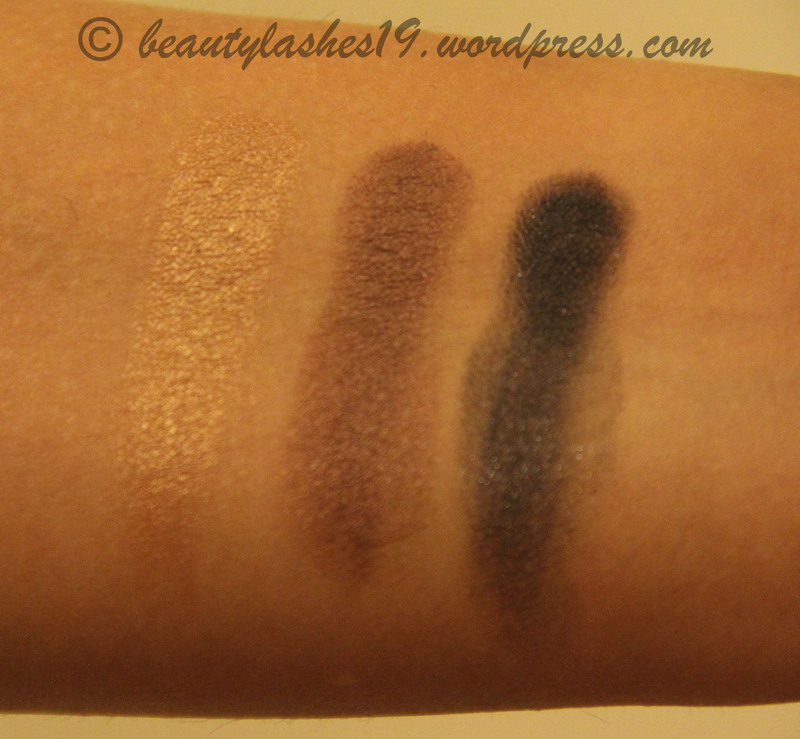 It is not the most pigmented black but can make a decent base for smokey eyes for added intensity..
L to R : Indianwood, Constructivist and Blackground in indoor lighting. L to R : Indianwood, Constructivist and Blackground in natural day light. 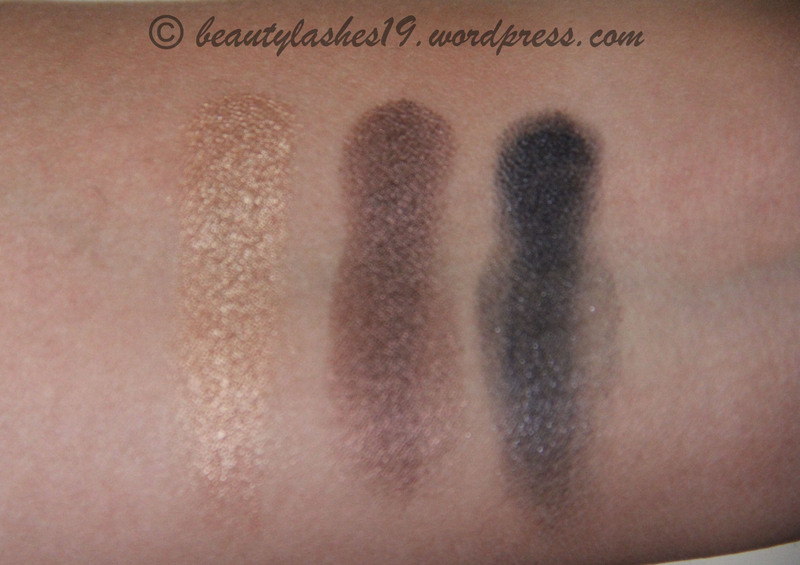 These are easy to blend and are quite smooth to touch.. Just make sure to blend immediately before it sets.. This product will work great for people who don’t like to spend much time on their eye makeup.. You can carry this and use your finger to apply the product all over the eye lid for a one color look.. When layered with an eyeshadow on top, it definitely intensifies the color of the eyeshadow.. I personally haven’t found much use with these on their own since I have very oily eye lids and these tend to crease badly on me.. However, when I use a good eye primer (such as NARS) and layer this on top with or without powder eyeshadow, these tend to do ok on my eyes.. So, these might work better on individuals with drier / normal eyelids who don’t have issues with creasing.. Maybe I should try one of their pro long wear paint pots instead which are supposed to be crease proof.. Overall, these make good eye bases for most people..